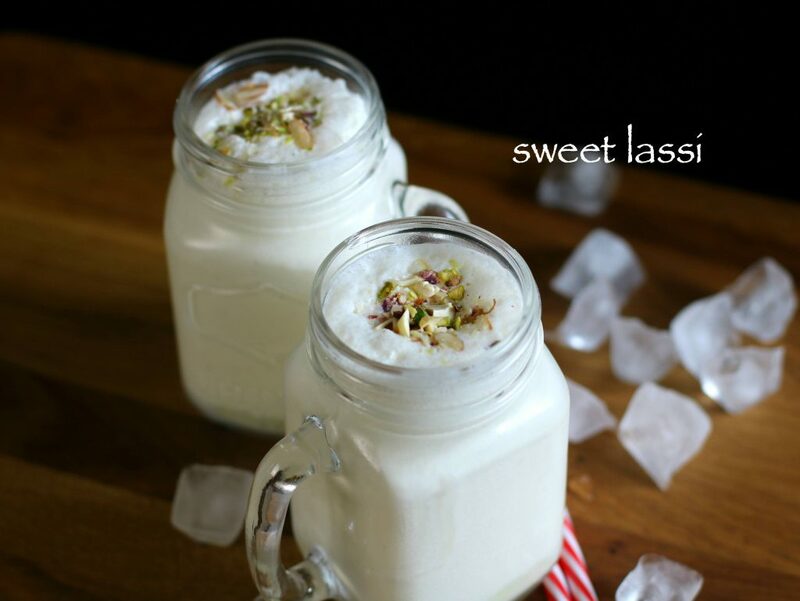 lassi recipe | sweet lassi recipe | punjabi lassi recipe with detailed photo and video recipe. fundamentally a yogurt-based drink originating from north west or precisely from punjab. it is usually served after heavy meal or perhaps during hot summer to lower the body heat. 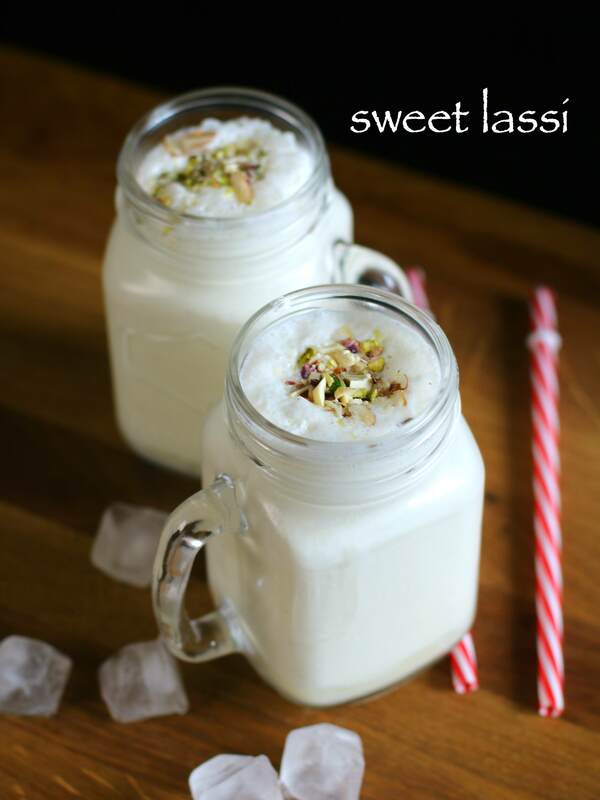 lassi recipe | sweet lassi recipe | punjabi lassi recipe with step by step photo and video recipe. 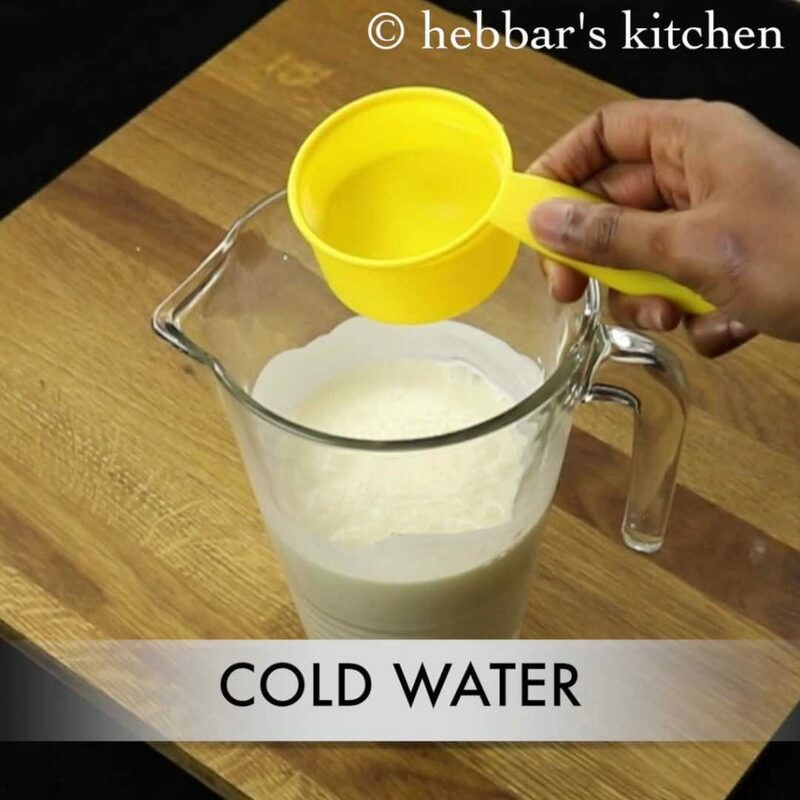 basically a traditional chilled beverage drink which is prepared from thick curd. 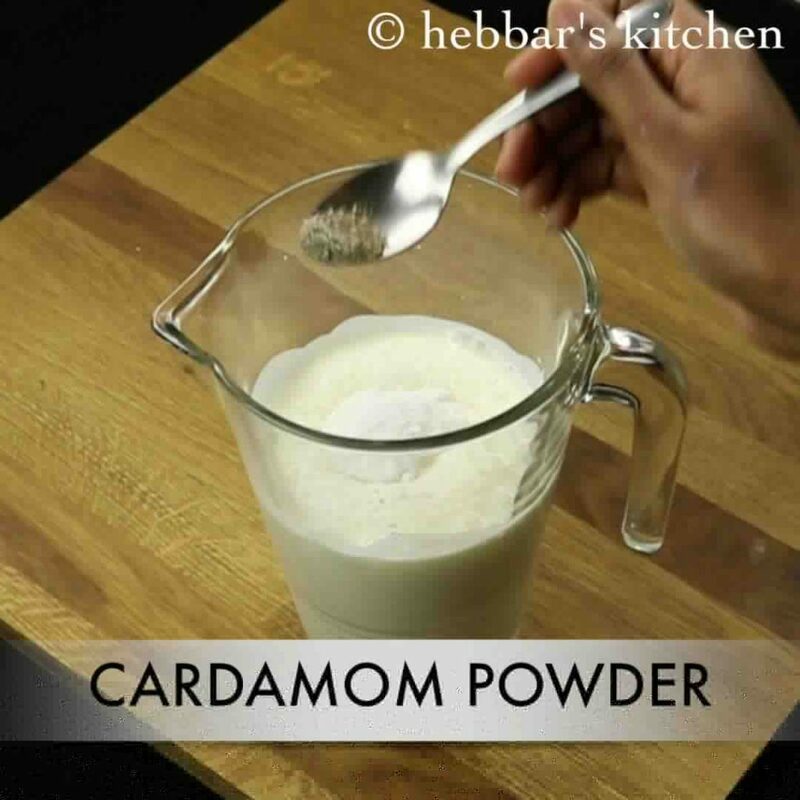 in other words, a yogurt based smoothie with assortment of flavourings from cardamom and saffron. most commonly, it is also topped with cooking cream or ‘malai’ to make it creamy and thick. while lassi can be consumed as just sweet drink, but practically it is an excellent accompaniment for spicy food. as a matter of fact, any curd or butter milk based drink can reduce the heat of spicy food gives a calming effect to the stomach and mind too. in addition, it is scientifically proven, that yogurt helps to improve digestion after heavy meal. in addition it is usually topped with dry fruits like badam and pista which is obviously good for health. furthermore, there are several variations to this drink which changes country to country, and even region to region. traditional lassi were always prepared salty or savory. however, sweet version or even mango version has emerged as favourite among people during recent times. in addition to this, a spicy version has also come out which is comparatively less thick from traditional lassi. 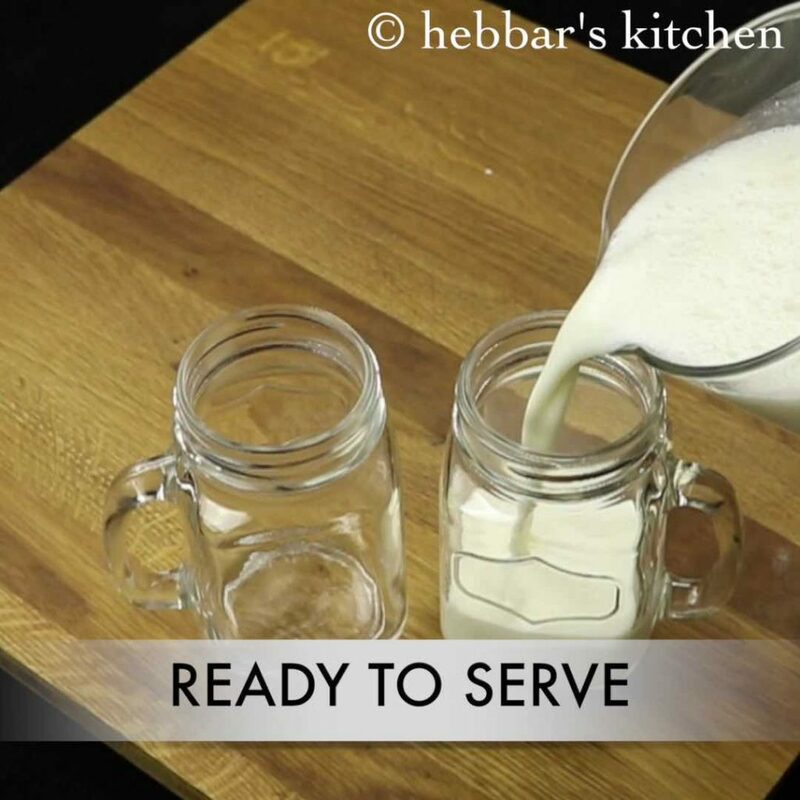 it is popularly known as chaas or even sometime as spicy buttermilk. firstly, take 2 cups of curd in a large jug. 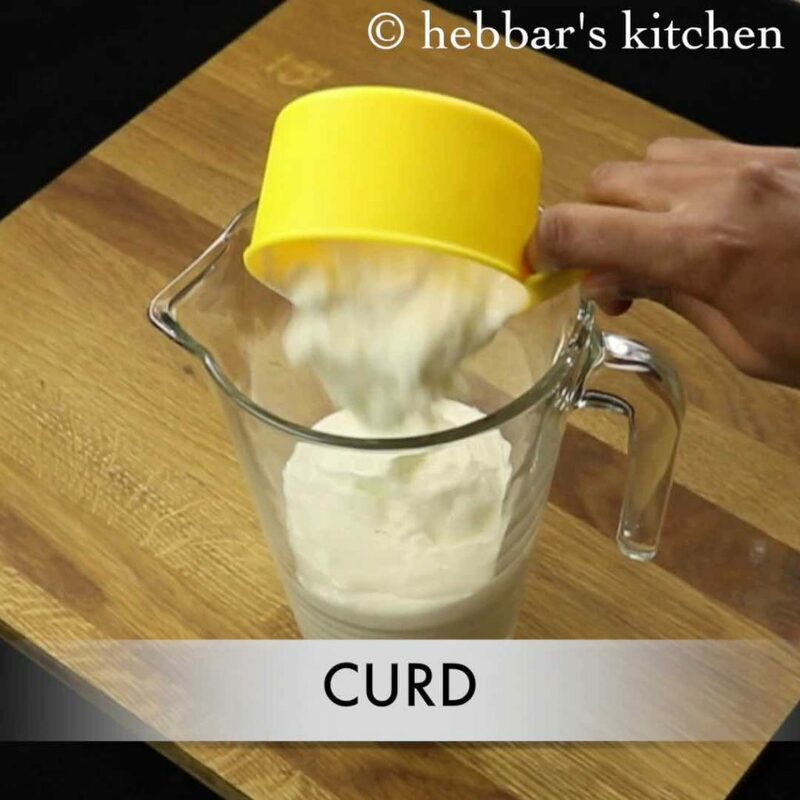 whisk till the curd turns smooth. you can also blend using the hand blender / mixi. furthermore, add ice cold water to adjust the consistency. also add 3-4 tbsp of powdered sugar. 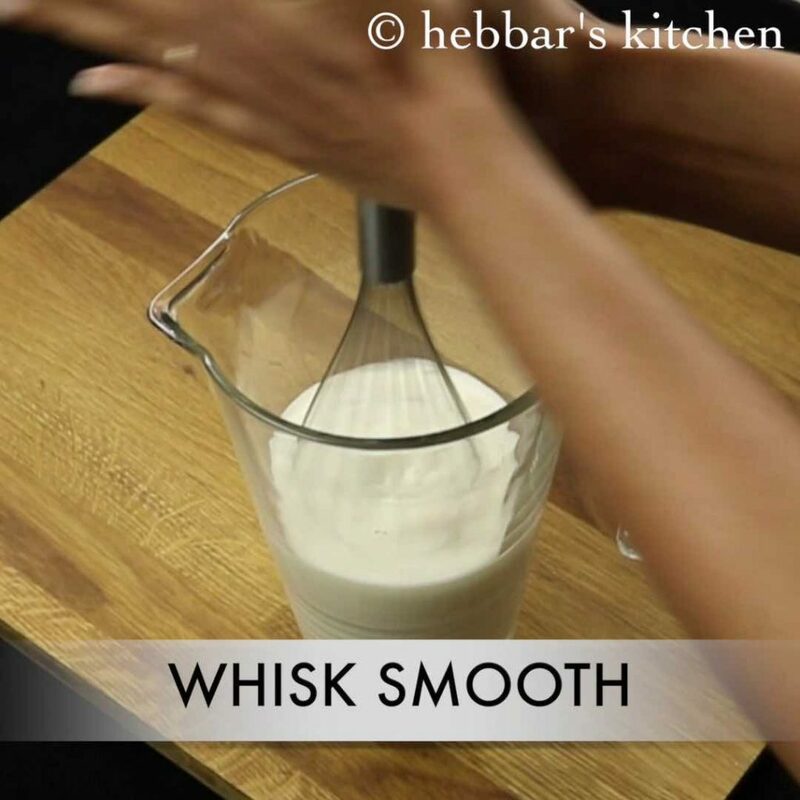 whisk again till a frothy layer is formed. you can also blend using the hand blender / mixi. 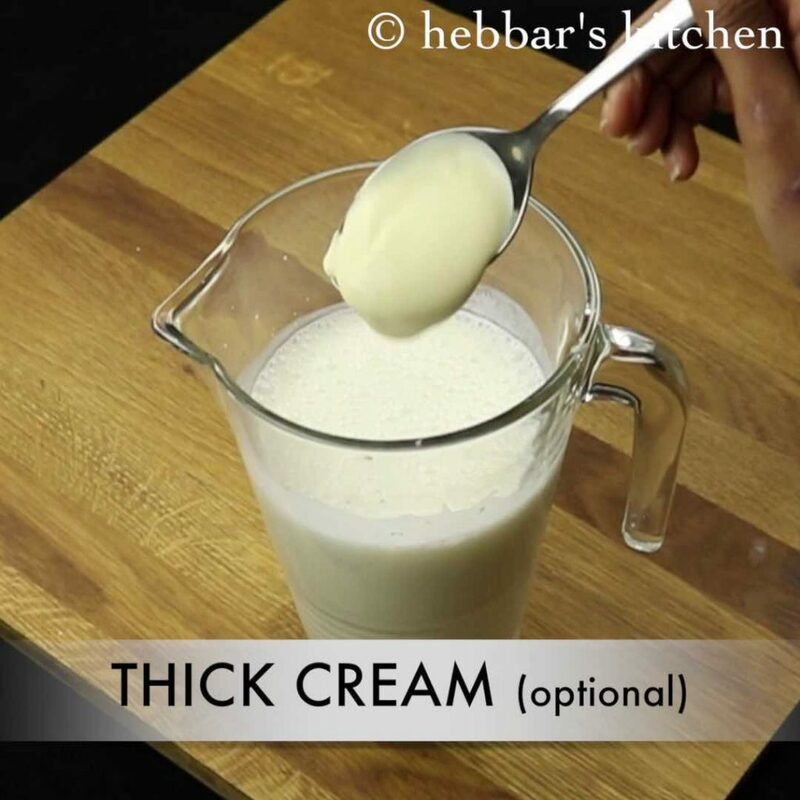 additionally add cream for more rich taste. and give a good stir. 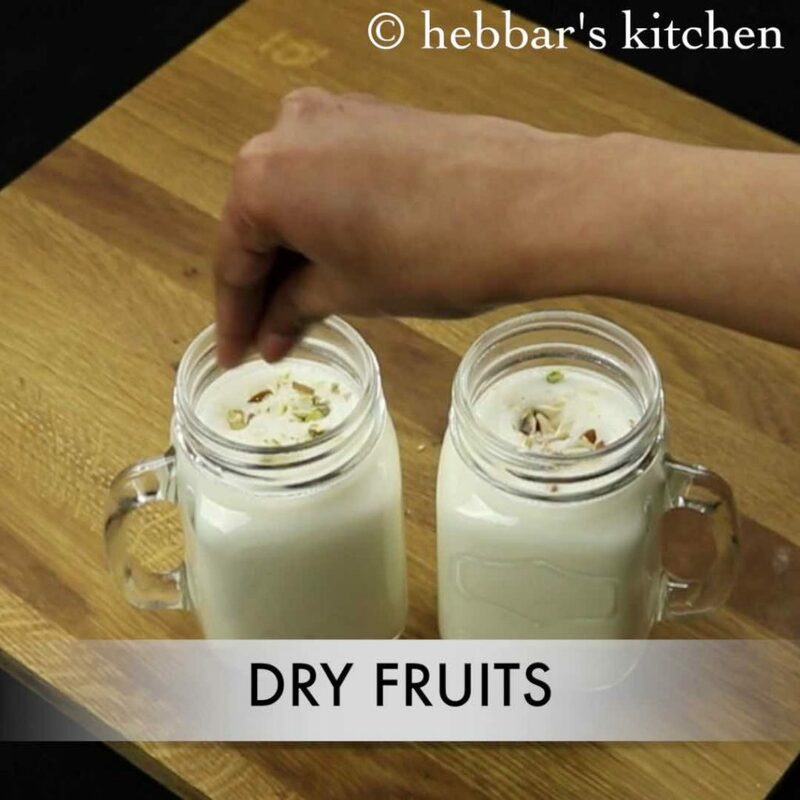 transfer the lassi to a serving jar. also garnish with few chopped nuts. finally serve chilled along with few ice cubes. 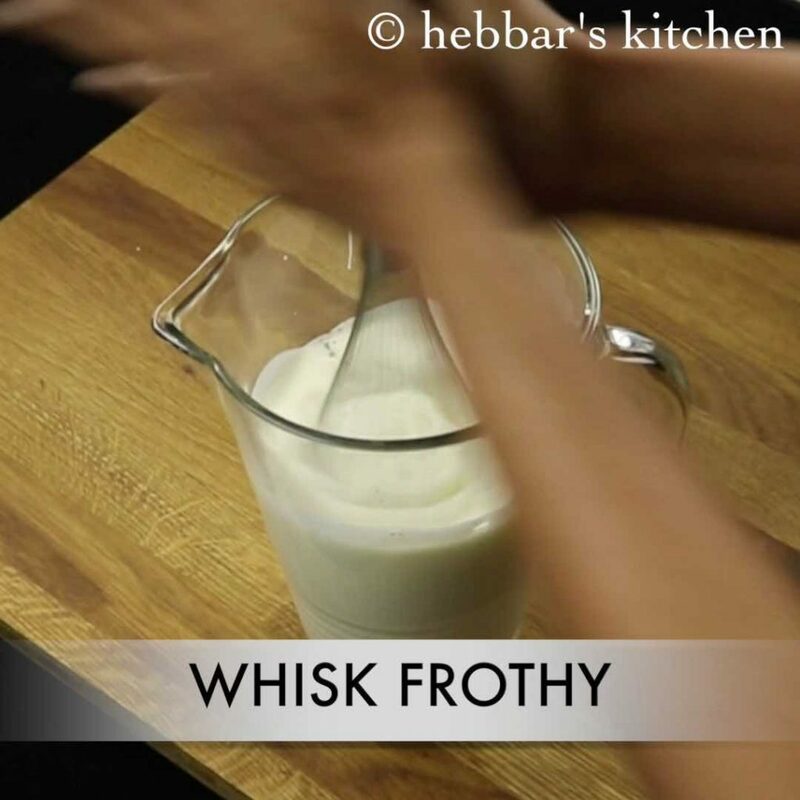 continue to whisk till frothy layer is formed. hand blender or mixer grinder also can be used here. firstly, for more rich flavours add few strands of saffron. 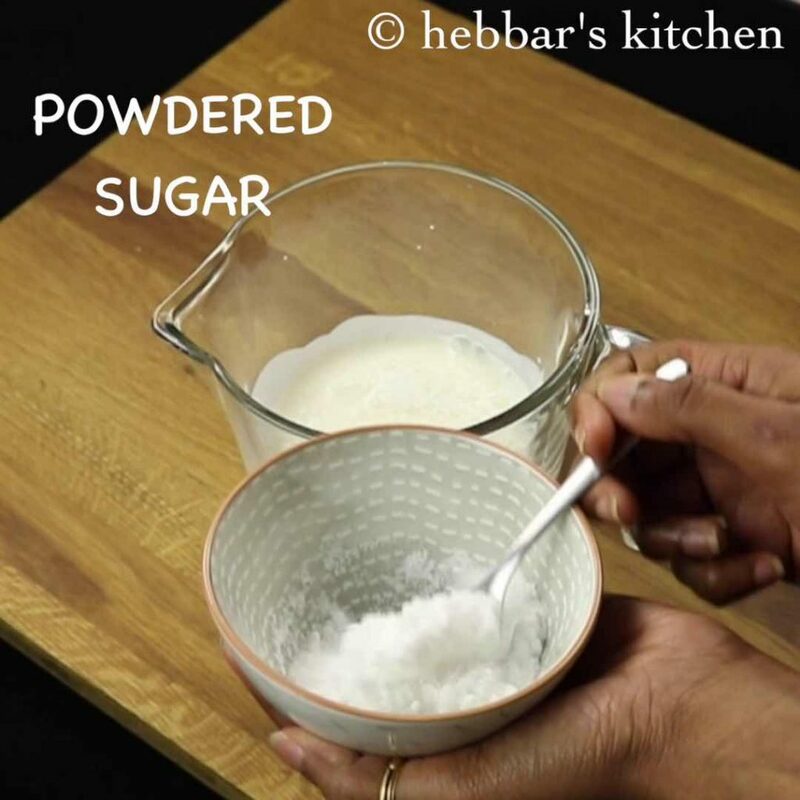 furthermore, use powdered sugar to fasten the process of preparation of lassi. also, add mango puree to prepare mango lassi in it. finally, lassi taste good when served immediately. Thankyou for the lovely simlpe to follow recipies.